Manchester United take on Huddersfield Town at the John Smith’s Stadium on Saturday evening with a place in this season’s FA Cup quarter-finals at stake. With the first leg of our Champions League second round tie coming up in midweek I expect Jose Mourinho to ring the changes this weekend. We were 2-0 winners a fortnight ago when we met the Terriers at Old Trafford. Although this is an important match for us I think Jose Mourinho will maintain his policy of Sergio Romero being the cup goalkeeper for this match. Antonio Valencia is due a rest ahead of our midweek tie in Spain so Matteo Darmian should be recalled at right-back. He did struggle early on at Yeovil Town in the previous round but he’s an Italian international so he’s capable of stepping up. Victor Lindelof did start to look better when he had a few games under his belt but has not had much of a run out in recent months whilst Marcos Rojo is one of our better centre-backs and has impressed in the cup so far this season. Eric Bailly is set to return to the squad but I doubt he’ll start after only recently returning to training following three months out with an ankle injury. 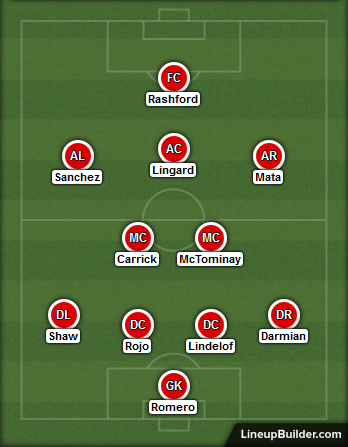 Ashley Young started left-back at Newcastle so Luke Shaw should be recalled. The England international can offer us defensive skills as well as a threat bombing forward. Mourinho has eased fears over Paul Pogba after he appeared to pick up a knock at the weekend but I expect he’ll be given a breather tomorrow while Nemanja Matic should get another rest in the cup. Scott McTominay has looked good when he’s been given a chance so I think he’ll be given the nod with Ander Herrera ruled out through injury. The experience of Michael Carrick should be recalled to lead the team, protect the defence and retain possession for us. 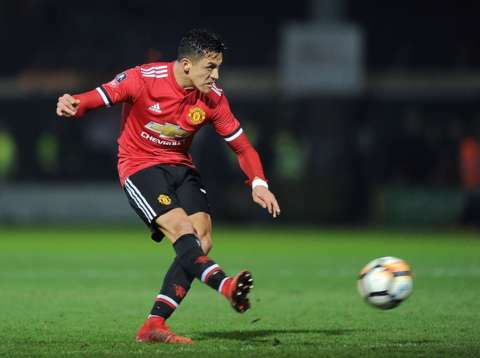 Alexis Sanchez never gets tired and I think the Chilean starts this one down the left to keep the Huddersfield defence honest. Juan Mata should be recalled down the right and Jesse Lingard in at the number 10 role. Should Marcus Rashford be fit for this one then the 20-year-old will lead the line as he did versus Derby County and Yeovil Town in previous rounds. Otherwise Romelu Lukaku is likely to start up front with Zlatan Ibrahimovic only recently back in full training and Anthony Martial likely to be rested. The 2-0 win was at Old Trafford! Huddersfield won the reverse fixture 2-1.